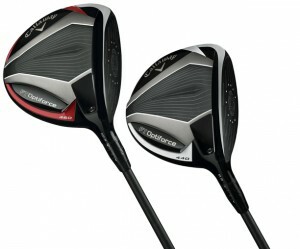 Callaway Golf (NYSE: ELY) continues its aggressive approach to gain a larger share of the club business by introducing two new drivers plus complementary fairway woods just days after bringing the Mack Daddy 2 wedge line to market. The FT Optiforce driver and fairways will hit retailers July 12 with the drivers in two different clubhead sizes and with a first for the company, offering loft and lie adjustability aimed at optimizing launch conditions for each user. Some of the standout features include the most aerodynamic clubhead Callaway has made to date with 23 percent less drag according to their measurements than the X Hot Pro 9.5-degree driver. Less drag helps produce more club speed and the FT Optiforce drivers also use a lightweight crown with the stock shaft being the 43-gram Project X Velocity shaft which drops the total club weight to less than 300 grams–certainly well within the very light category. The Advanced OptiFit Hosel allows adjustment of the loft 1-degree down or 1- or 2-degrees up with additional hosel settings for neutral or draw lies. Callaway also uses the same Speed Frame Face of their other current drivers to help create the best ball flight. Also available the FT Optiforce Fairway Woods share similar construction to the Callaway’s X Hot Fairway Woods but with a tendency to produce a slightly higher trajectory. “The FT Optiforce Fairways Woods are a powerful mix of the ball speeds of our X Hot Fairway woods and the trajectory of our RAZR Fit Xtreme Fairway Wood,” said Hocknell. 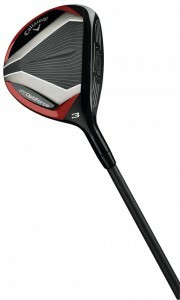 The FT Optiforce Driver, either the 440cc or 460cc model, will be available at a suggested retail of $339 and the fairways for $229.